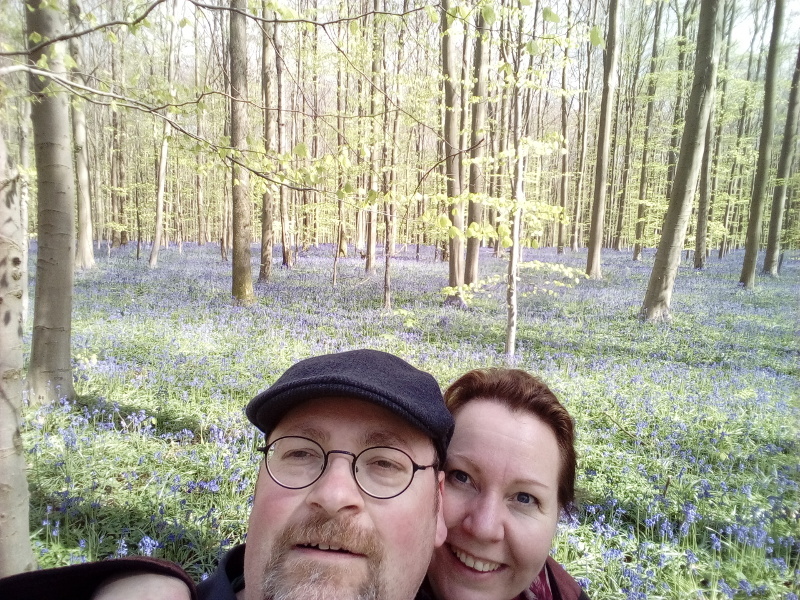 Last week, on King's Day, we stepped into the car and fled the country to Belgium! The Hallerbos had been on our list of places to visit ever since I saw a photo of the place in an album on imgur of the most beautiful places on earth. Whereas most of those locations were in Thailand or the US, this is just below Brussels, so it's a good daytrip. And why would we go there? 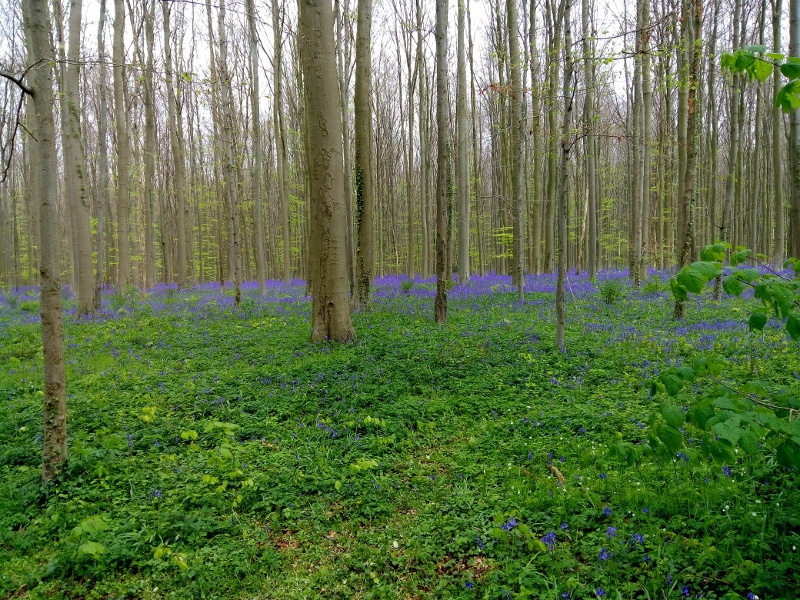 Because during the season, the whole forest floor is covered with bluebells! While King's Day is a day off in the Netherlands, it is a normal working day in Belgium -- they have their own king, after all. So we reckoned it would be reasonably quiet in the forest -- which was mostly true. 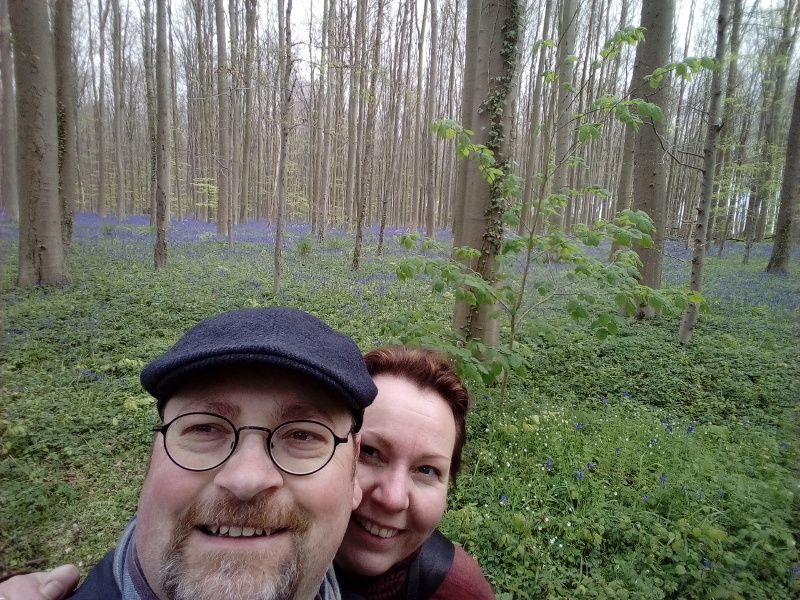 We found a walk that would take us along most of the bluebells, and we set off. What with bad traffic and a stop for a bio-break and lunch, it took us well over 2.5 hours to get there. Towards the end, it was also a bit unclear how we had to drive to get where we were going, but we found it and parked the car. 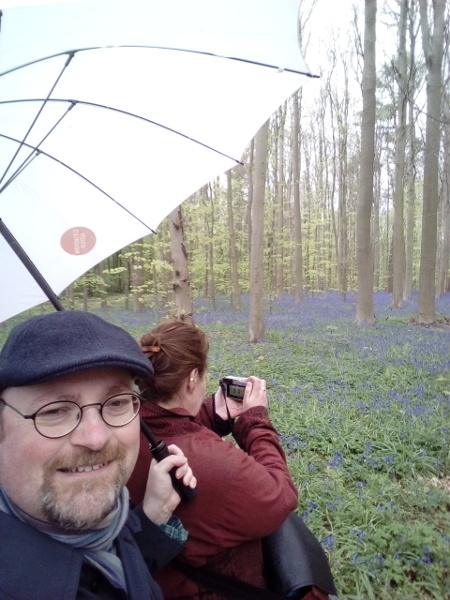 At the start, we had a light rain, but towards the end of our walk, the sun came out -- and that is when we also smelled the bluebells. The photos don't do it justice (and certainly not my crappy selfies), but it was really magical. I mean, a bluebell is nice and all, but if you see a valley filled with them, that's really something else. There were some parts that didn't have bluebells, but the rest of the forest had so many! It was so beautiful, I really recommend it. After a walk of three hours, it took us again 2,5 hours to get home -- we didn't do much else that day! But if you're in the area during early spring, do check out their website: they post regular updates during the flowering season so you know in advance what to expect. If you want to go there this year: this weekend is probably the last that the bluebells are in bloom. There's always next year through. The pictures don't do it justice. Especially when you're looking up or down a hill, all you see is this field of blue. It's magical.